Gather detailed information about some of the most fun and hilarious improv lessons in New York! Learn how to improvise like the best of them, and boost your acting skills tenfold by allowing yourself to effectively think on your feet. Anyone Can Learn to Improvise! Sign up Now! Founded by Groundlings alumna Holly Mandel, Improvolution is built on the philosophy that improv is for everyone! As long as you're interested in learning, the instructors at Improvolution would be more than happy to teach it to you. Holly and the rest of the staff believe that improvisation is all about expressing the part of yourself that is fearless, creative, open, and enjoys working with others. Living up to its title, Improvolution is interested in pushing the edge of improvisation and helping catalyze the next stage in improv comedy and performance. Former students at the schools include Saturday Night Live actors Chris Parnell and Will Forte, and Curb Your Enthusiasm's Cheryl Hines. Nothing But Amazing Acting At Magnet Theater! 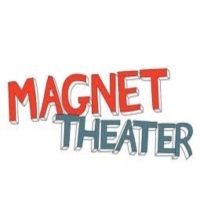 Learn improvised acting at Magnet Theater and become a better you. The studio offers improv acting for beginners who want to learn on the spot acting and develop their skills in portraying a character perfectly. With Magnet Theater intensive improv acting program, students will learn a great deal of acting in different genres and will gain the confidence to perform. So come to the place where you can learn improv acting here in New York. Come to Magnet Theater and become a better you. Visit their website to learn more in the acting classes and for your inquiries. Develop Your Acting Skills With People's Improv Theater! Let People's Improv Theater be your place here in New York to learn improvised acting and hone your skills to become a great performer. 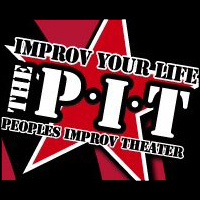 With People's Improv Theater you can expect to undergo rigorous training in which you will master your skills and build the confidence to become a natural on stage. Enroll at People's Improv Theater and learn from the best in improv acting. You will definitely enjoy every class you have with them and will learn many great things in acting. Learn Great Acting With Chicago City Limits! Come and learn improv acting here at Chicago City Limits. The place makes a perfect choice in wanting to develop your skills and progress to become a great performer. The studio offers classes in comedy improv where you undergo rigorous training in order to help you think on your feet. With 30 years of performing and providing a great show, Chicago City Limits continues excellence in putting on a great show. 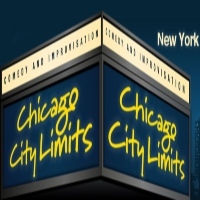 So learn from the best and learn comedy improv acting with Chicago City Limits. Contact them and make your registration today. 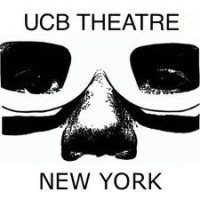 Become A Great Performer With Upright Citizens Brigade Theatre! Let New York's Upright Citizens Brigade Theatre train you to become a natural performer. With their improv acting trainer center you can expect a lot of great things and will be able to further enhance your skills in on the spot acting. Definitely a great place to start learning acting, Upright Citizens Brigade Theatre is where you will learn to love performing and develop your skills to become a great performer. So enroll now at Upright Citizens Brigade Theatre and learn from the best and become a great artist. Visit their website and make your registration today. 4 Weeks Of Fun At CnC Studios! Let CnC Studios be your place here in New York to learn and develop your skills in improv acting classes. The place makes a conducive venue for learning in which you can hone your skills and develop to become a great performer. With their professional instructors, they will make sure that your 4 weeks of acting lessons will be a worthwhile experience for you to learn and improve your skills in performing. So let CnC Studios train you to become a great performer. Visit their website for your inquiries and make your registration today. 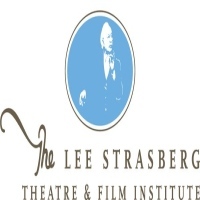 Learn Great Acting With The Lee Strasberg Theatre and Film Institute! Experience the fun and excitement of improv acting, enroll at The Lee Strasberg Theatre and Film Institute. Learn from the experts and develop your skills in performing and portraying a role on stage. With its dedication to excellence and quality performances, you can expect to undergo intensive training where you can learn the basics of acting and further enhance your skills to become a skilled performer. So learn from the best of New York and enroll at The Lee Strasberg Theatre and Film Institute. Explore the possibilities of your acting career and make your registration today. Nothing But Serious Acting Here At HB Studio! Develop your skills in acting and learn from the professional artists here in New York. HB Studio is where you can learn a variety of styles in acting and develop the mastery of stage presence. Also, with the dedication of the instructors of HB Studio, you can develop your ability in improv acting and will be able to quickly portray a character in a short period of time. 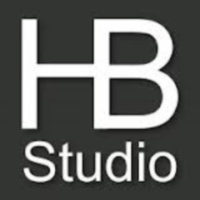 Let HB Studio be your place of choice here in New York where you can develop the skills in portrayal and dramatization. Enhance Your Acting Skills With The Stella Adler Studio of Acting! Let The Stella Adler Studio of Acting train you to become a better actor. With their program designed to enhance each individual's ability to perform with confidence and with ease, you will definitely learn a great deal on what it takes to perform on stage. A great place for improv acting here in New York, The Stella Adler Studio of Acting is where you can learn and gain the confidence to portray a role perfectly. So enroll at The Stella Adler Studio of Acting and be trained by the experts in the art of acting. Visit their website for your inquiries and for registration. Performing A Great Show With Gotham City Improv! Enroll at Gotham City Improv and learn the techniques of spontaneity in acting. The best place to learn improv acting here in New York, Gotham City Improv is where you can develop your skills in performing and building the confidence to act in front of an audience. You can join their free improv class in order to experience what Gotham City Improv has to offer. 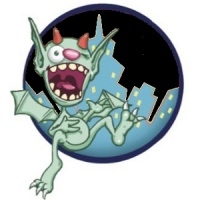 Come to Gotham City Improv and learn from the experts in improvised acting. Visit their website and make your registration today. An Improv Acting School Like No Other! 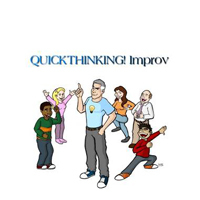 Learn improv acting with QuickThinking! Improv, the best place for learning a great deal of acting with a flexible schedule here in New York. With QuickThinking! Improv you can expect rigorous training in which the session is fast phased and the environment makes a conducive place for learning. The best place to learn improvised acting here in New York, QuickThinking! Improv is where you can expect to learn to improvise on the portrayal of a character.